BULMOR Deutschland supplied three sideloaders type BAUMANN BGX 80 to one of Germany‘s largest manufacturer of busses and coaches. Each of them is equipped with an independent fork so-called Single Height Shift System(SHSS). This system allows to adjust the height of only one fork by +/- 200 mm without moving the other one. 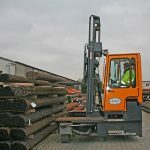 With the independant fork the operator can level out the forks allowing for a precise picking-up of the awkward loads. Since the bus chassis come in different widths the sideloaders are equipped with KOOI-REACHFORKS®reaching out from 2.100 mm to 2.900 mm. 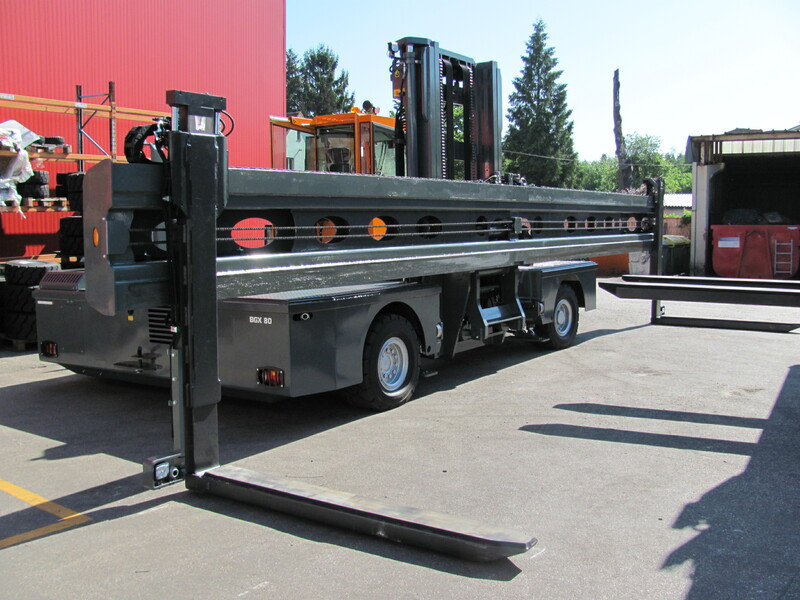 The telescopic forks in combination with the hydraulically independent fork system was supplied by the Austrian MSE-FORKS representative SANO, can lift up to 6.000 kg at a load centre of more than 1.600 mm. Since the sideloaders must accomodate for the fact that busses come in various lengths, they are equipped with an enourmous fork carriage. 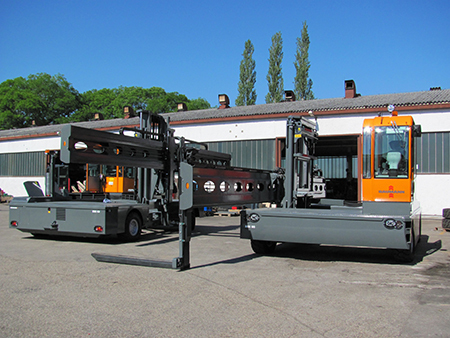 The two MSE forks can be hydraulically spread from only 600 mm up to the full length of the carriage of 9.000 mm. The carriage is tiltable as is the entire chassis of the sideloader. All these movements are needed to safely lift and transport the busses in a fast and efficient manner. To provide further safety and extra care for the sensitive load the trucks are equipped with a camera system and the forks are coated with rubber to prevent any damaging of the pre-painted chassis. 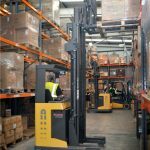 The three custom made sideloaders are a perfect example how MSE-Forks, SANO, and BULMOR, three innovative and customer driven companies work together to successfully provide a solution exactly meeting high customer demands. New “Pallet-Bumper” marketed by Meijer Handling Solutions B.V.